With its postcard-perfect azure waters, palm-fringed beaches, white sand, and more luxury hotels than you can count, the tiny island of Mauritius seems like a classic honeymoon destination. But there’s a lot more to do on this isle east of Madagascar than doze on a hammock or stroll by the shore holding hands. “Paradise Island,” as locals call Mauritius, is also home to vibrant reefs, dense forest, and even mountains, making it an ideal place for every adventure activity from scuba diving and stand-up paddling to hiking and even four-wheeling. 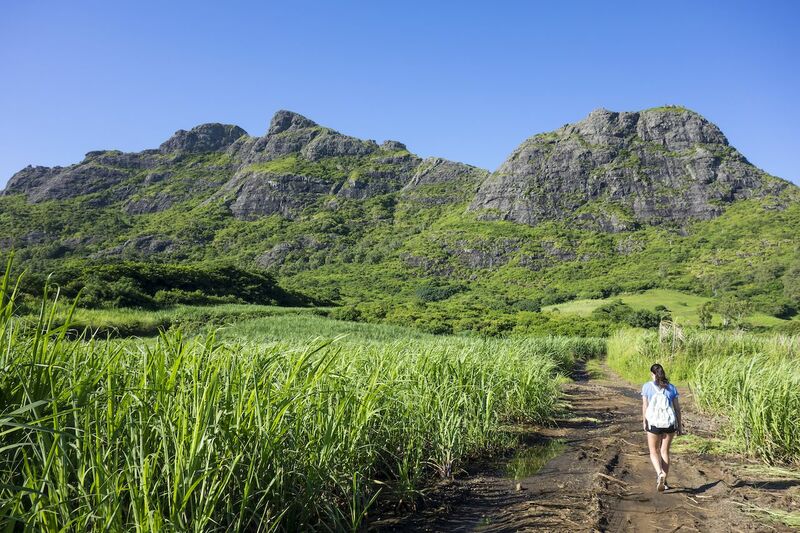 Here’s everything you can do to get your heart pumping in Mauritius — boo optional. Explore a vast underwater world. Virtually the entire island is fringed by a coral reef, making scuba diving and snorkeling a favored pastime for locals and tourists. Step off the shore, stick your face below the water, and you’ll be sure to see starfish, sea urchins, eels, and even a turtle or two in no time at all. Those with a penchant for the deep should head to the northwest part of the island, where the best dive sites are. Small breaks in the reef create channels where you can find large schools of fish and even some small shark species. The waters are warm and clear, and the diving is relatively easy, so it’s a great spot for beginners and free divers as well. 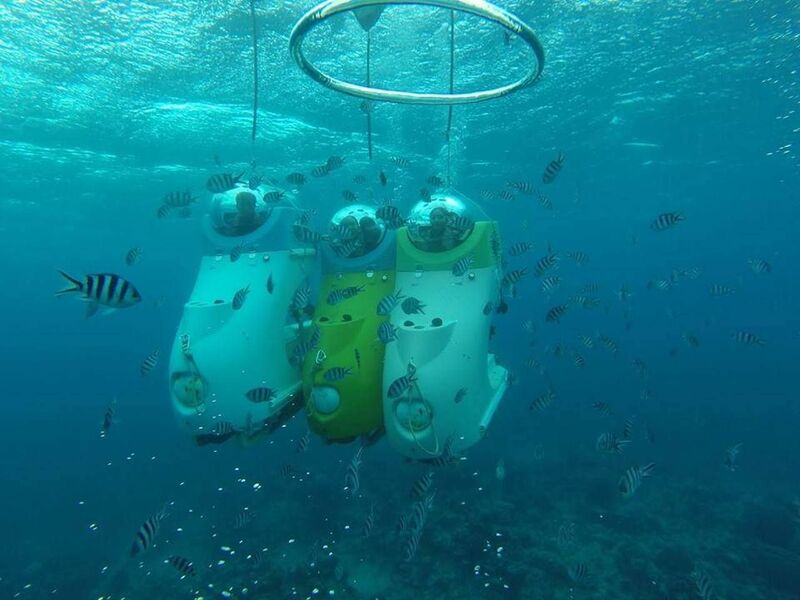 While Mauritius is famed for offering fantastic diving and snorkeling opportunities, anyone who doesn’t want to get wet can also see the underwater world in a submarine. Located in the popular Trou-aux-Biches area, the unique Blue Safari company allows you to dive an astonishing 115 feet below sea level without ever donning a snorkel mask. You can marvel at the reefs up close, catch a glimpse of a majestic sea turtle, and even take a turn around a real shipwreck. Adult fares are about $142. Over the last few years, Mauritius has become known as one of the world’s best kitesurfing and windsurfing destinations. Combining an ideal mix of consistent winds, flat water, and great wave spots, it caters to a wide range of skill levels — from beginners to advanced wave riders. 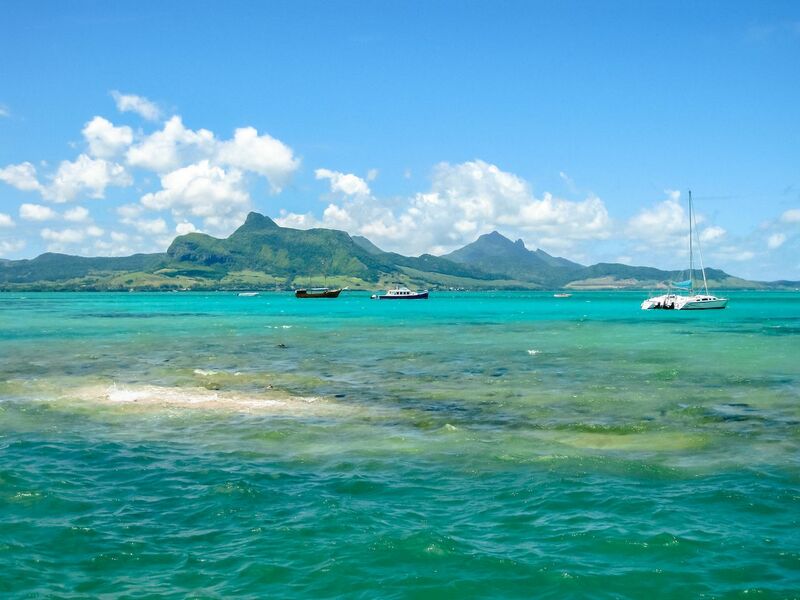 The best place to learn is in Le Morne, where a wide, flat water lagoon stretches out, offering a huge shallow water space for beginners to get the hang of the sport. For those who’ve already mastered kitesurfing, Pointe d’Esny on the island’s southeast coast is foiling heaven. Just watching these guys in action as they fly over the water will get your heart racing. There are several other spots on the island where you can take to the water, including Belle Mare, Anse La Raie, and Bel Ombre. If you want some professional guidance, talk to the experts at Planet Kitesurf Holidays. Its staff travels regularly to the island, and they know it like the back of their hand. Stand-up paddle boarding — or SUPing, as it’s more commonly known — is growing in popularity the world over. While many of the hotels offer SUPs free of charge, you can also spend a few days just exploring the island on your own. The western side of the island, at Black River and Le Morne, is one of the best places for a leisurely paddle. Here the lagoon opens into a marina area, while mangroves and small inlets flank the shoreline. In these areas, peace and tranquility reign; keep an eye on the bank for a chance to spot some of the local residents — including crabs and a wide variety of bird species. As Mauritius is volcanic in nature, jutting out in the center of the island you’ll find mountains begging to be hiked, four of which reach well over 2,000 feet above sea level. You can visit cold mountain waterfalls, trek to the top of panoramic viewpoints, and catch a glimpse of some of the island’s endemic species, such as the pink pigeon. While Mauritius has four national parks, Black River Gorges is the biggest and is a great place to start any hiking adventure. The park covers an area of over 23 square miles, about two percent of the island, and has a number of entrances where you can begin your hike. Signs at the entrances lay out several paths with various degrees of difficulty and clearly show where the routes intersect. A hike through the national park will take you through a range of landscapes, from dense forests, past bumbling streams, to rocky mountain cliff faces not for the faint of heart. Start your hike early and take a bathing suit, as the daytime temperatures can build up quickly, and you’ll want to take a quick dip in one of the clear pools along the way. Put pedal to the metal. If you prefer to see the island on four wheels, Mauritius offers a number of options for speed freaks. 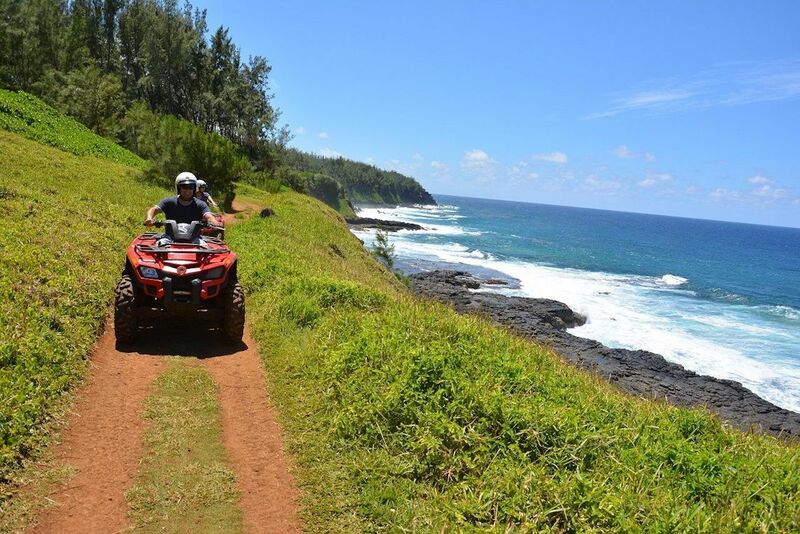 In the isle’s center, you’ll find Fun Drive Mauritius, where you can explore the island on quad bike or an all-terrain vehicle. You get to race around sugar cane fields, over muddy dunes, and through the forest on this open buggy. They have smaller vehicles specifically designed for kids as well, so even the little ones can enjoy racing around on their own track. Contact them to book, as prices vary depending on age, time duration, and type of excursion. Down in the island’s south end, Big Foot Adventure offers quad bike tours that take you to some of Mauritius’ more hidden attractions. You can visit a stretch of wild coastline that isn’t protected by the reef, discover hidden waterfalls and pristine river pools, drive to the top of a mountain lookout point, and zip around a sugar cane factory. The trips start at $105 for two hours and go up to $165 a pop for a five-hour adventure. Around the Mauritius coastline, you’ll find a variety of sandbanks and little islands that are well worth visiting. The best way to discover these beauties is to sail to them. 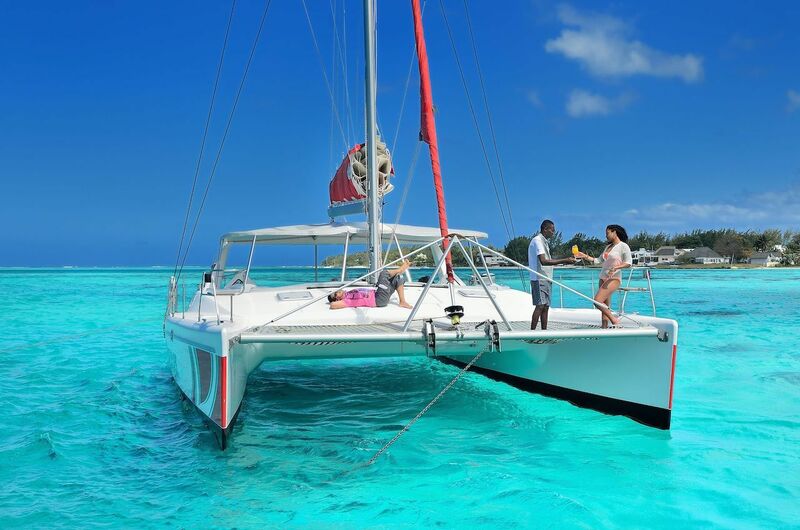 Catamaran Cruises Mauritius offers a number of day trips to see these islands, with snorkeling stops along the way and a fresh fish braai for lunch also thrown in — beginning at $68 per person. The most popular trip is a visit to Ile aux Cerfs. Given the islet’s warm water, natural lagoon pools, and wide white-sand bank, most people are content just to sit and enjoy a relaxing afternoon in paradise. However, if the sailing experience wasn’t enough of an adventure for you, you can book a parasailing experience with one of the beach vendors for a bird’s-eye view of the tiny isle. Visit uninhabited Indian Ocean islands. Several trips to explore the uninhabited islands of the Indian Ocean depart from Mauritius, yet most of these last days or even weeks. If you don’t have that amount of time, add in a visit to Ile aux Aigrettes into your Mauritius vacation. You can arrange tours here with the Mauritian Wildlife Foundation, which manages the small island. The fees you pay will go back into protecting this unique place. Walking around the coral island, you’ll see ancient ebony trees and marvel at the size of the giant tortoises found here. The guides have a wealth of knowledge on the various species of plants and animals found in Mauritius, as well as a few that are no longer around, including the famed and tragically extinct dodo bird. 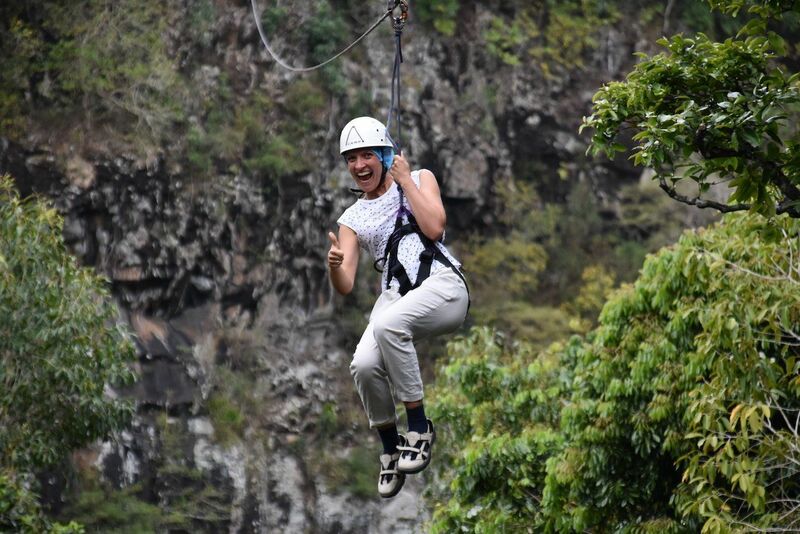 Finally, if you want an epic experience that will leave your heart in your stomach, go to Lavilleon Natural Forest, where you’ll find an 850-foot-long zip line through the trees. Located 280 feet above the forest floor and reaching speeds of 60 mph, it’s a feat that will leave adrenaline junkies wanting more. And there is more. After the zip line, you can walk on a treacherous 850-foot-long suspension bridge over a waterfall.